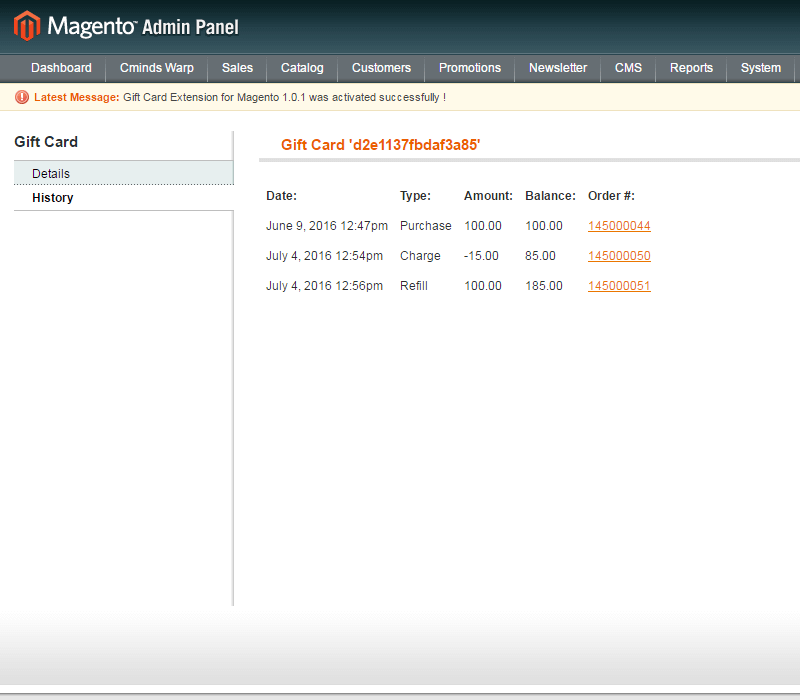 Magento Gift Card extension increases store sales by offering gift certificates that can be used online and offline. Customers can purchase and pay with a gift voucher or buy a gift card and send to friends. The Magento® Gift Cards (Certificates, Vouchers, Coupons) extension offers customers the ability to purchase gift cards, use gift cards as a payment method (full order or split payment), and add money to gift cards. Customer can easily get a new gift card, manage an existing one, or check their gift card balance using the gift card dashboard which is also available for non logged-in customers. 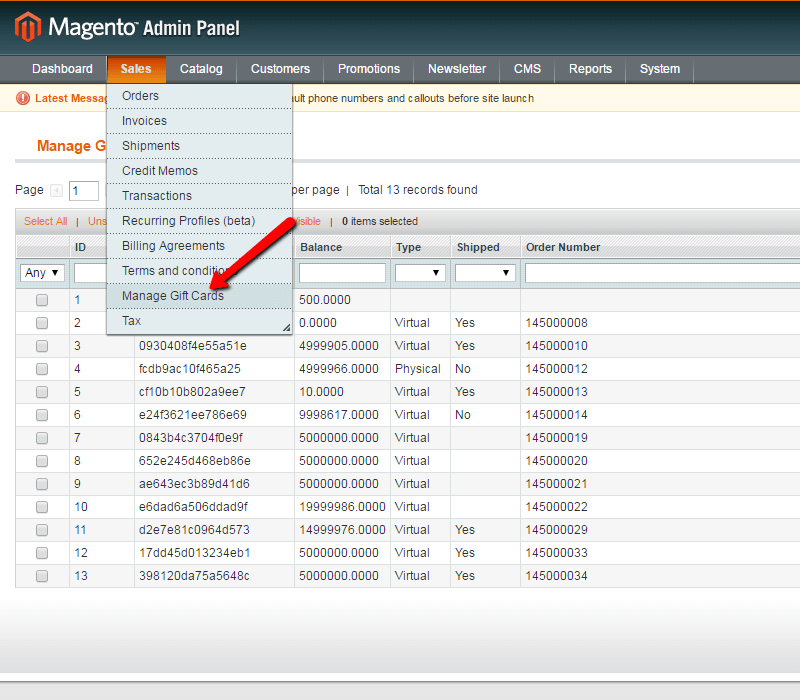 The Magento Gift Card module includes robust admin management tools. Here admins can configure new gift card templates. Additionally, all gift cards may be edited or updated through the admin panel. 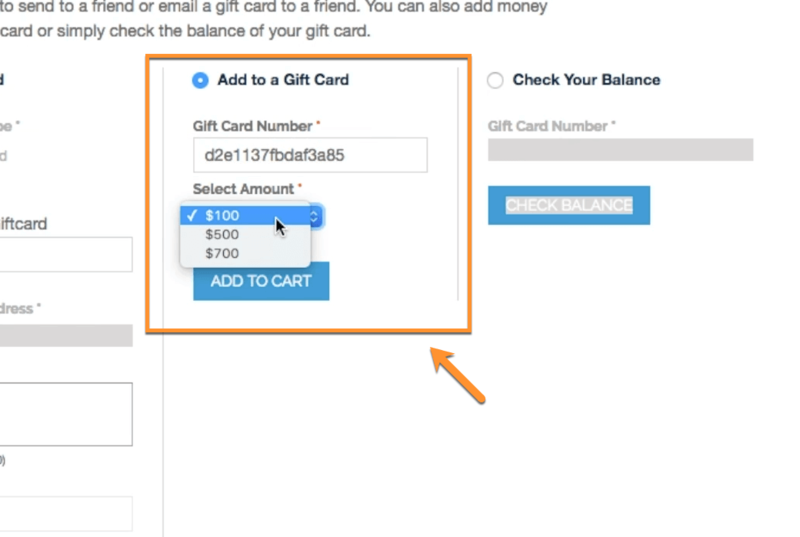 Our Magento® gift card extension also includes a new gift card payment method which shows up during checkout. 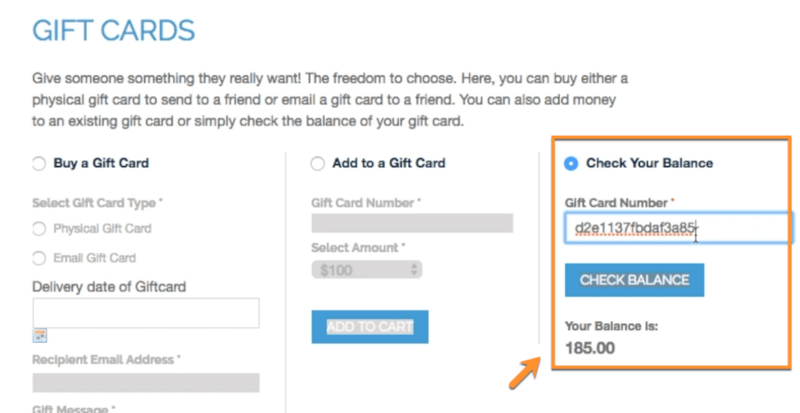 With this extension, customers can purchase products from your store by using only a gift card. Gift card SKUs, gift card email templates and card dollar values are all configurable using the gift card module, as well as a gift card shipping method for “gift card-only” shipments. Please check the user guide to learn more about the Gift Card extension. 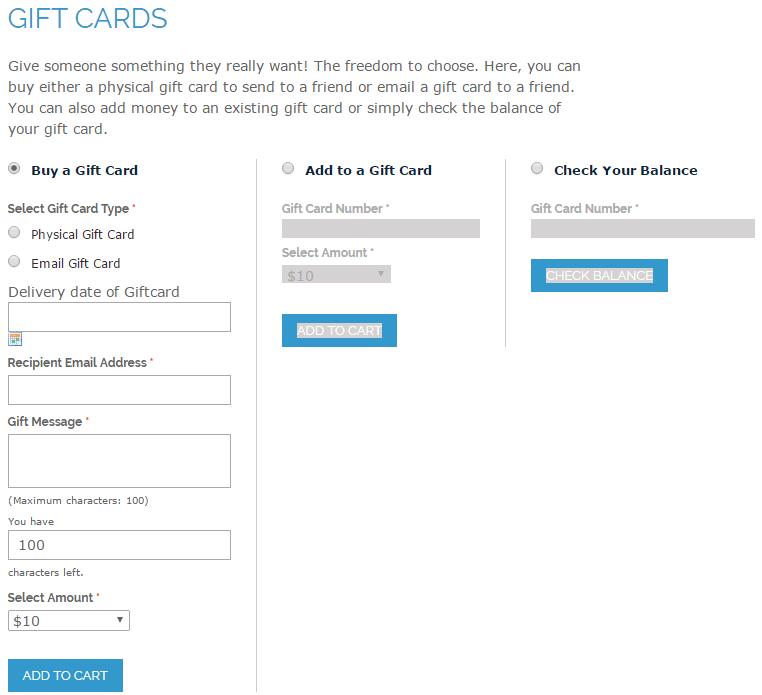 Gift Card Functionality– Allow customers to send a gift card to friends or buy for themselves. Send Gift Cards – This gift card tool allows customers to send gift cards to others online or via email. Discount or Store Credit – Use gift cards either as discount coupons or store credit. Gift Card Email Templates – Design gift cards or personalize gift cards by providing gift card templates or upload your own image. 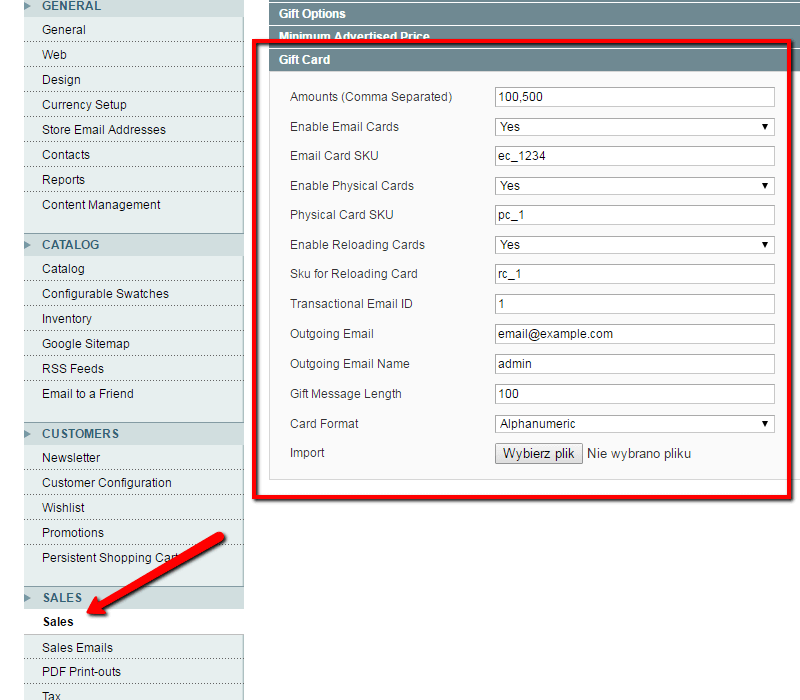 Gift Card Information – Give customers option to check gift card balance and add money to gift cards. Customize Gift Card – Easily personalize or customize gift cards with this flexible gift card extension. 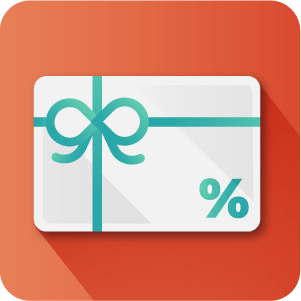 Discounts or Store Credit – This gift voucher extension allows users to redeem the gift vouchers as discounts or store credit. Gift Voucher Present – Provide your customers with a convenient to purchase presents for friends and loved ones. Gift Card Products & Sales Opportunity – Offer stunning gift cards as a product to increase Magento® store sales. Create Gift Cards– Create gift cards and let customers send personalized gift cards by providing gift card templates or upload any image. Email Gift Cards– Let customers send an ideal gift to their loved ones. Gift card holders can share their purchased gift cards via email. Gift Card Accounts– Customers can access their account to view gift card voucher balance and add money to gift cards. 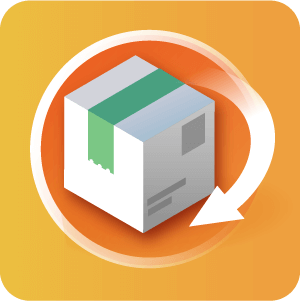 Gift Card Tracking – Customers can track gift card by checking the balance remaining on their gift card. Purchase Gift Certificate – Purchase a gift certificate, specify electronic or physical, and choose from the preset amounts. 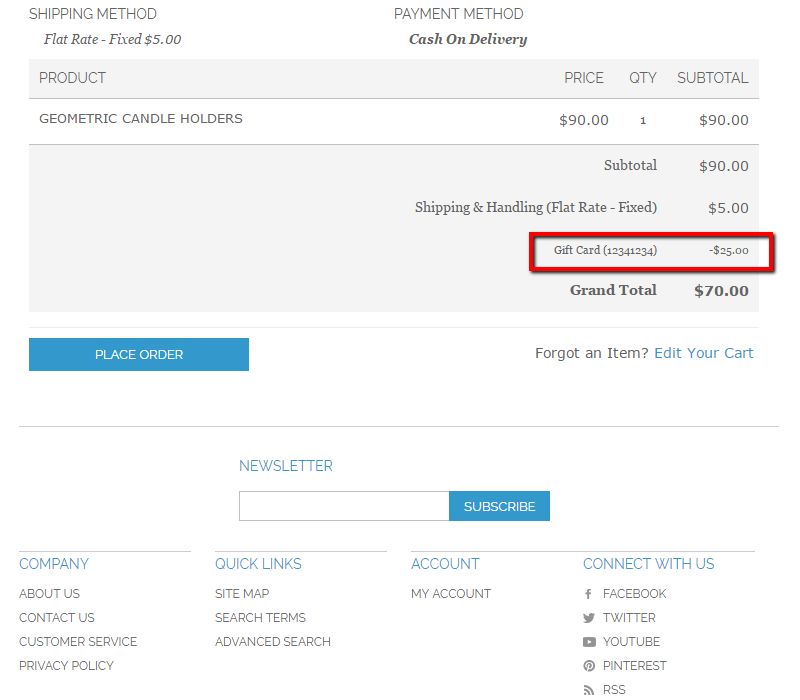 Bulk & Unlimited Gift Cards – Let customers create multiple gift cards. They will have an option to create a virtual gift card or a physical gift card. 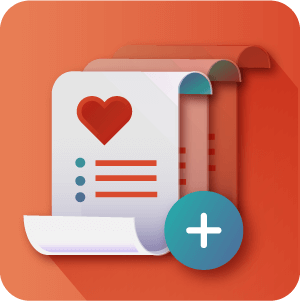 Gift Message – Customers can write a personal gift message while sending gift card via email. It will be included in the body of the email. 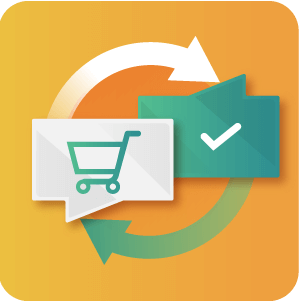 Split Payment Using Gift Card – This user-friendly digital gift card extension allows customers to pay for a part or all of an order using the gift card. Can gift cards be used to cover shipping fees? Yes. The gift card covers some or all of the grand total at checkout after shipping and tax have been added. Can products bought with gift cards be returned? Yes. Products bought with the gift card are treated with the same returns policies as those bought with other payment options. At the end of the day, it’s just another form of money. Can the gift card expiration date be altered? There is no expiration date set of gift cards. 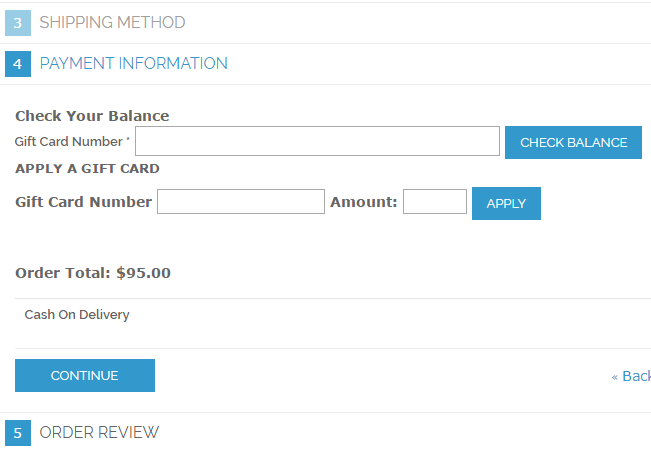 How can customers check their gift card balance? 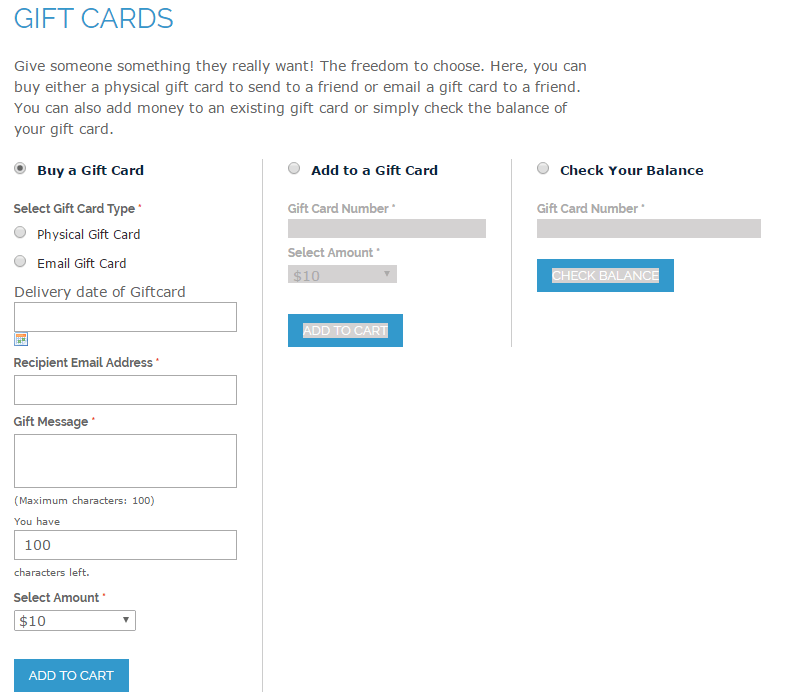 The gift card balance may be checked by going to the store’s gift card page (exampleURL.com/giftcard), selecting the gift card radio button (the right hand option) and then entering the gift card number. Can the gift cards for use in physical stores? Currently it is only possible to use gift cards for online purchases. Can this gift card program allow users to manage gift codes? No, customers can not edit or write their own gift card codes. Can the balance on a gift card be topped up or is it one use only? Gift cards can be used again and again and the balance topped up on the store. 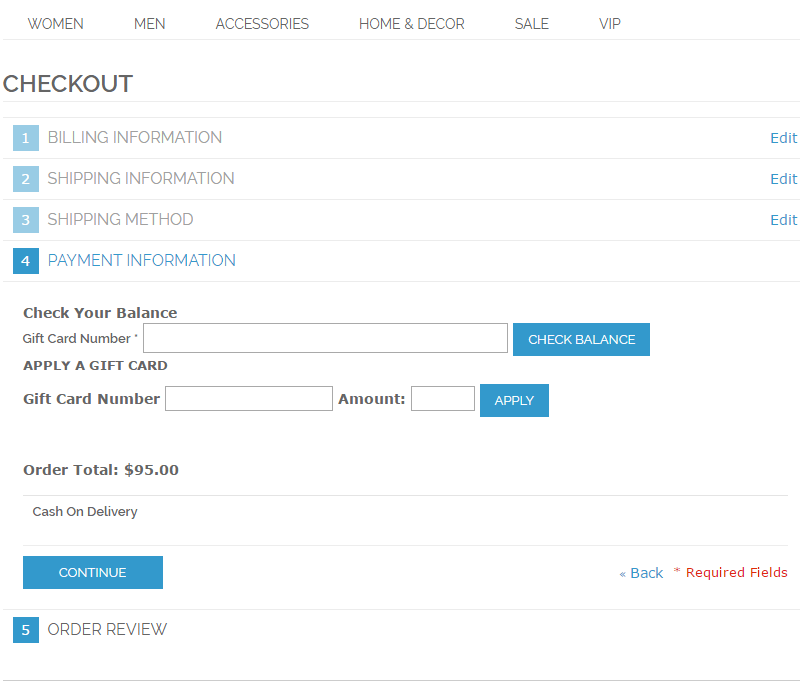 Go to yourURL.com/giftcard then choose the middle option and proceed to checkout with the desired amount.